This card is the only golf card issued in a 1993 series of sports immortals by KSP. The set had very limited distribution. 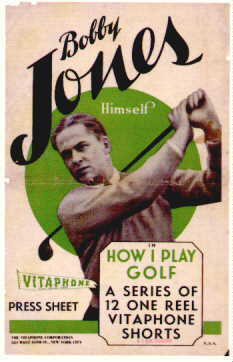 Card depicts Jones as he appeared in a 1931 advertisment for the Vitaphone film series, "How I Play Golf." Mint.